EDS Continental is an installation and maintenance specialist, working in the sustainable and power industries, providing a unique and impressive portfolio of products and services. 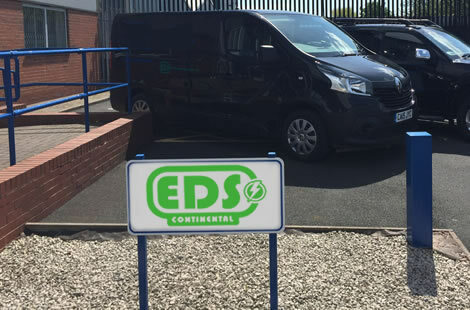 EDS Continental has an enviable track record for innovation, quality and excellence in both High and Low Voltage projects. All our technicians and engineers undergo constant training and testing to ensure they are compliant with current legislation and methodologies. Our accreditations and approvals, including on-going certification for ISO 9001 are our safeguard to clients that our services and products offer only the highest quality standards. We also have a robust auditing process, both internally by our management and externally by HSE advisors. Electrical Distribution Services (EDS Continental) is an installation and maintenance expert, specialising in the renewable energy field and HV/ LV installations. The company was started in 2011 and has grown steadily from 2 employees to the present 30. In these years we have built an enviable reputation for innovation, safety and expertise within this growing market, by meeting the sub-contractor needs of the UK's leading energy companies and switchgear manufacturers. Expandes stores and office accomodation by 5,000 sq. ft. Managing Director, Ian Fishburn, leads the EDS Continental management team. He has over 30 years experience within the electrical industry.